If you are wondering why do you have a dead tooth and what can you do about it, this is an article for you. Your dead tooth started life like any other healthy and vital tooth during your fetal development. Throughout his development he had many exciting stages, from the initiation stage when tooth can be seen microscopically to his final stage when he’s become a healthy tooth composed of the enamel, dentin, cementum, nerves and blood vessels. The nerves and vascular formation had one of the most important roles in his life. The nerve fibers are beginning their development throughout the cap stage. When dentin formation begins nerves developed around the tooth are entering in the dental papilla, but never into the enamel. In the crown stage the number of blood vessels are at their maximum and the dental papilla gradually takes shape in the tooth pulp. Throughout life of a dead tooth, the volume of pulp cells reduces, therefore the flow of blood to the tooth reduces. The enamel part of the tooth does not need nutritious components from the blood therefore tooth enamel does not have connection with blood vessels. After tooth development nerve stays in the center of the tooth, sensing heat and cold. At this point in the article you get bored and start wondering why is your tooth dead and whom we should blame for it. Your tooth is dead because he have a dead nerve. Two prime suspect in the death of a tooth are decay and physical trauma to the tooth. 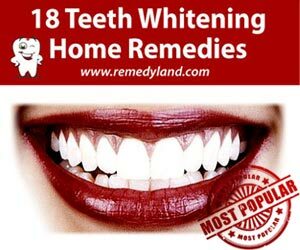 When tooth decay or a bacterial infection penetrates tooth enamel and gets to deep inside the tooth, the pulp attempts to deal with it through the use of the white blood cells and that leads to the inflammatory process. Pus builds up once a part of the white blood cells die throughout the fight against the bacterial infection. In case the bacterial infection is not dealt with at this point, all the white blood cells are going to die and the flow of blood is going to stop entirely. When the nerve begins to die, it can never be prevented or restored. If this happens, high level of sensitivity is commonly the initial sign of problem and this is going to result in an extreme tooth pain. Occasionally the nerve can die without producing any kind of discomfort. Sports accidents, children falling and violent physical attack are among the prime suspects. In case the pressure is harsh enough, the small blood vessels at the top edge of the tooth root could get pinched. This can in some cases cut down the flow of blood to the nerve. Without an appropriate flow of blood, the tooth nerve is going to die. Protection in this tooth accidental injuries is best solution, sports mouth guards are advisable for any contact sports. In some cases a tooth can die when it takes a considerable amount of the pressure of your bite. Lots of individuals clench their teeth. This could put an extremely heavy pressure on a single tooth or a couple of teeth. If this type of pressure occurs quite often, and severely enough, the tooth is going to die. Hard foods needs to be avoided and the oral cavity must not be used instead of tools. It is usually quite challenging to recognize a dead tooth simply by looking at it and that is certainly one more reason why it’s crucial that you pay a visits to a dentist on a regular basis. You possibly can have no signs and symptoms when a tooth becomes dead. On the other hand, a dead tooth could display certain symptoms such as getting darker to one of many different grey, black and yellow colored shades. 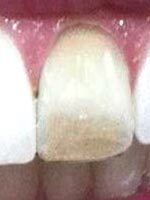 This discoloration is generally because of bruising from the dying blood cells therefore the dead tooth pulp turning out to be noticeable. This darkening is a result of the small blood vessels in the nerve deteriorating and after that leaking red blood cells, it’s similar to a bruising. Dead tooth slowly becomes darker and darker as time passes, and it’s irreversible. The tooth is not going to become brighter on it’s own. An additional sign of a dead tooth is an unexplained inflammation. Dead teeth may smell or perhaps produce a nasty taste because of pus becoming discharged from any existing kind of bacterial infection. A dead tooth is going to become loose because of the deterioration of adjoining bone by the bacterial infection. Discomfort can fluctuate, from gentle or non, to severe in case the nerve is dying or in case there is abscess. It’s vital that you keep in mind there could be no signs and symptoms. You might have this problem with no idea of its presence! The dental professional will be able to inform you if you have a dead tooth. My tooth is dead, isn’t that a good thing ? Perhaps you believe that without having a nerve in a tooth is likely to be okay, since after that you can’t get tooth pain. Surely, it’s correct that the tooth on its own is not able to feel hot and cold any longer, however there is an issue with the tiny space remained in the center of the tooth. Now you will have a tooth with a lifeless nerve inside it and he will start to get rotten. Without treatment dead tooth is like a time bomb. There are basically two major treatment methods of dead teeth, tooth extraction and root canal treatment if you want to preserve dead tooth. Tooth extraction is performed in case the tooth is not eligible for restoration. This can be the reasonable choice for many people with budget limitations. A tooth extraction of a dead tooth is normally the most affordable alternative, however it can leave other problems for example shifting of teeth, visual and practical problems. As soon as extracted, tooth restoration can be achieved by dental implant, a fixed dental bridge, or a detachable denture. Root canal is carried out when you do not wish to get rid of the dead tooth, and particularly if you are already lost some other teeth before. A root canal is going to deal with the bacterial infection and removes the decayed section of the pulp. With the medical improvements in modern dentistry, a root canal procedure can be a simple and easy, in case carried out in good time. It can preserve a dead tooth by stopping additional bacterial infection. The procedure typically starts with anesthesia to eliminate any kind of discomfort, after that a dental drill is employed to create a hole for the cleaning tool to go through the bone. The bacterial infection is cleaned and the opening is sealed with a dental filling. The tooth can be whitened or a veneer and dental crown could be placed over the dead tooth. Frequent visits to the dental office, brushing and flossing can play an important part, because your dentist can recognize first signs of a dead tooth. There are additional signs that you could identify by yourself such as a high level of sensitivity to heat or cold, discomfort when you are eating or biting down, minor discolorations, halitosis, periodontal boils and face inflammation. Preserving a dead tooth relies on early diagnosis and early therapy, therefore don’t disregard the signs or symptoms, have it examined before it’s far too late. Early therapy can, as an illustration, prevent a dead tooth from getting discolored.